Our partners at Feeding America move the majority of food for U.S. hunger relief across the country each year using SCM4Hunger™. Agency Express is a web-based shopping tool enabling network member food banks to list inventories online, providing hunger relief agencies the opportunity to review and order food from their food banks in a simple and efficient manner. DonorExpress™ empowers manufacturers to make their product donations available to Feeding America online. These manufacturers gain tax benefits and improve their bottom line when they donate their surplus goods through our online system. Many of the nation’s top food companies donate their excess products through this system and all of Feeding America’s more than 200 food banks have access to the donations. Choice™ is an online/mobile-enabled auction system through which each food bank is delegated a certain number of points. The points are based on factors such as the number of people they serve and their respective poverty level, with more points going to those with the greatest need. As the available food is posted online, each food bank can bid their points toward the foods they want, by way of a twice daily online auction. The Inventory Management Solution (IMS) is an online application used to manage the inventory of hunger relief warehouses. 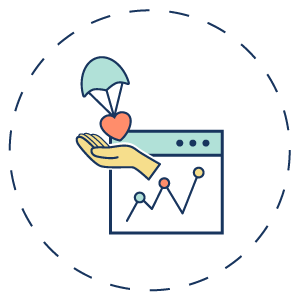 It uses best practices from the for-profit world for on-demand inventory control while being tailored to fit the specific needs of humanitarian relief in the nonprofit world. We also offer our Virtual Aid Drive which is a fast, easy and fun way for nonprofits and corporations to fundraise online to generate much needed funds.Donations can be expressed in terms of dollar increments or dollar equivalents for resources needed (e.g. blankets, food, school supplies, etc.). This tool offers nonprofits a simple and effective way to achieve online fundraising while simultaneously educating the donor on the additional buying power their cash donation can make.